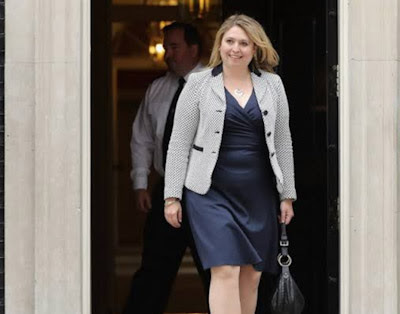 Karen Bradley, the secretary of state for Northern Ireland, has given affirmations that the British government won't renege on the "screen" duty over the Irish outskirt issue in Brexit transactions. She said the administration was completely dedicated to the assention it had hit with the EU last December when Theresa May and the European commission president, Jean Claude Juncker, marked the "joint report" finishing the main period of Brexit transactions covering EU natives, the separation bill and the Irish fringe. "We are focused on all that we have consented to in the joint report and we will guarantee there is no verge on the island of Ireland," she told the British-Irish Parliamentary Assembly in London on Monday. At the end of the week the Brexit secretary, Dominic Raab, proposed the EU and Britain would need to pick between expanding the Brexit progress period and a period constrained fence to keep away from a hard fringe in Ireland.Bradley was told by a progression of Irish government officials present at the gathering that individuals in Ireland were ending up progressively on edge about Brexit and recommendations throughout the end of the week that the December joint report was superfluous. "I am, exceptionally worried at the inclination over the most recent couple of days," said Frank Feighan, of the decision Fine Gael party. "Could the UK ever be trusted again if it somehow managed to renege on a composed arrangement? "Ireland's envoy to the UK, Adrian O'Neill, said the possibility of a hard Brexit was causing "honest to goodness tension" in Northern Ireland and Irish fringe districts. He said time-restricting the stopping board would make it repetitive. "Neither in December or March writings are there references to time-restricted stopping boards. Since the barrier is intended to work in all conditions, the restricted time point of confinement would rather overcome the expressed purpose. "There have been recommendations from Brexiters that the Irish stopping board has been overstated or weaponised by the EU in arrangements. A week ago the previous Tory pioneer Iain Duncan Smith portrayed the impasse over the stopping board as "silly" and asked the executive to tell the EU "to quit setting up crazy issues like the barrier" to keep an arrangement being finished.Helen McEntee, Ireland's priest for European issues, told the Irish Times that if London reneged on the screen then understandings as of now came to on residents' rights and the purported separation bill could be revived. "I don't think as far as the transaction that you can return and fix something that has been conceded to the two sides and sets another red line on something that has been as of now concurred in arrangements. I don't figure anybody can or ought to have the capacity to do that,"